Shut Your Mouth!A?“Shaft” is 40? Shaft celebrated with Detroit-born Patricia Lewis, the founding member ofA?Hot, Buttered Soul, the great back-up group for the late R&B legend, Isaac Hayes. OhioFUNK friends and supporters already know that the websitea? ?s founder, Jack Marchbanks, co-hostsA?Jazz Sunday, a weekly three hour music program broadcast live on 90.5-FM WCBE Columbus. Remember:A?Jazz SundayA?streams live weekly 3pm to 6pm ET atA?www.wcbe.org. In the meantime, you can hear one ofA?Jazz Sundaya? ?s typically informative, music history-oriented interviews. Jack, with support fromA?Jazz SundayA?host K.C. Jones, interviewed (courtesy of a timely introduction by SIDney Howard) Detroit-born Patricia Lewis, the founding member ofA?Hot, Buttered Soul, the great back-up group for the late R&B legend, Isaac Hayes. 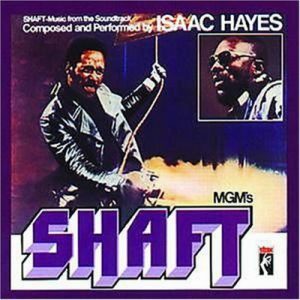 The occasion was the 40th anniversary of the ground-breaking movie soundtrack album, Shaft, reaching the top of the Billboard charts in Autumn 1971.